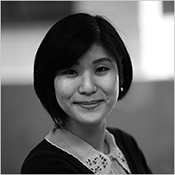 Mao Shiokura is an associate with Capstone Law. Her practice focuses on identifying, analyzing, and developing new wage-and-hour and consumer claims, including violations of the Fair Credit Reporting Act, Consumers Legal Remedies Act, False Advertising Law, and Unfair Competition Law. She also serves as co-managing editor of the firm’s blog, Impact Litigation Journal, which features commentary on important legal developments about California representative actions and other complex litigation. Prior to joining Capstone, Mao was an associate at a California lemon law firm, where she represented consumers in Song-Beverly, Magnuson-Moss, and fraud actions against automobile manufacturers and dealerships. Mao graduated from Loyola Law School, Los Angeles in 2009, where she served as a staff member of Loyola of Los Angeles Law Review. She earned her undergraduate degree from the University of Southern California, where she was a Presidential Scholar and majored in Business Administration, with an emphasis in Cinema-Television and Finance. She is an active member of the Santa Monica Bar Association. Mao is admitted to practice law in California.